1. To prepare crust, mix crust ingredients in a bowl. Press mixture firmly in the bottom of a lightly-greased 10- inch spring form pan. Bake crust for 6-8 minutes at 325 degrees. Set aside to cool. 2. In a large mixing bowl, mix the softened cream cheese with the 1 3/4 cups sugar by hand or on LOW with an electric mixer, until well-mixed. 3. Add the eggs, a couple at a time, stirring by hand to combine. Stir in the vanilla and then gently stir in the cream. You should have a nice smooth batter. 4. Pour batter over the prepared cooled crust. Preheat oven to 250 degrees. If using a CheesecakeMoat, fill outer ring of CheesecakeMoat half way with room-temperature water, and place springform pan with cheesecake batter in the inner circle of the CheesecakeMoat. 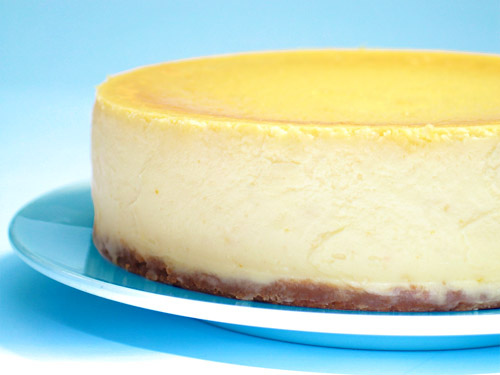 If you don't have a CheesecakeMoat, I recommend using a 9x13-inch dish of water placed on the shelf below the cheesecake (with cheesecake on shelf above, NOT in the 9x13) or else a traditional water bath. 5. Bake cheesecake at 250 degrees for about 3 hours. The top of the cheesecake should feel firm to a soft touch, and be only lightly browned. 6. 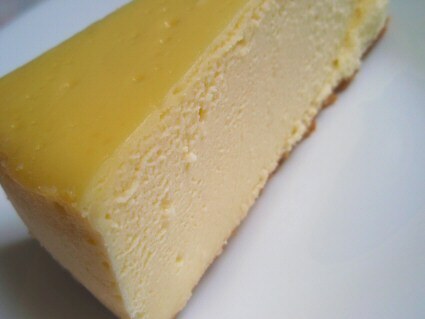 Remove cheesecake from oven and allow to cool in pan. Refrigerate overnight, or for at least 8 hours. Cut with dental floss or a sharp thin knife (wash knife between each cut). Serve plain, or with your favorite cheesecake topping (strawberries, cherries, whipped cream, lemon glaze, etc. ).12 serving.